After yesterday’s post, I wanted to share something that made me smile today. 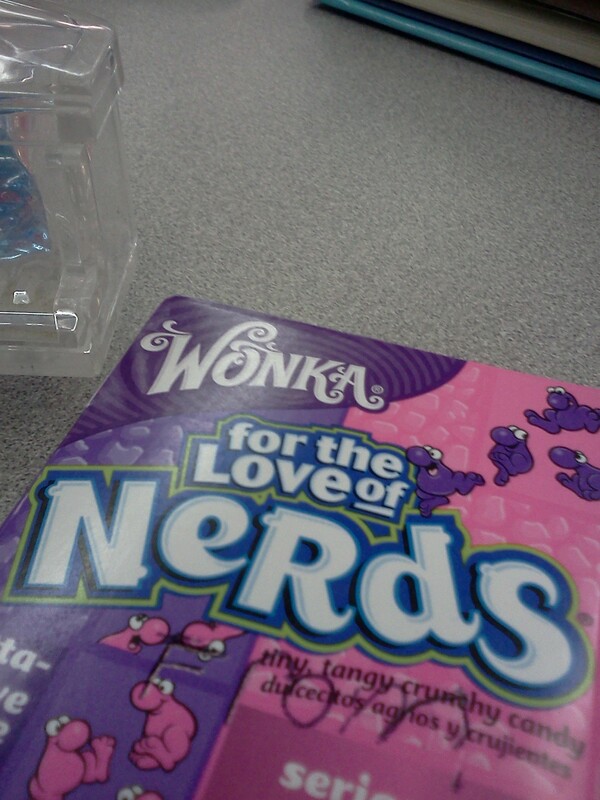 The same child who wept in my arms brought me a box of Nerds and a toy to keep on my desk. Apparently I’m not the only one who felt we bonded. 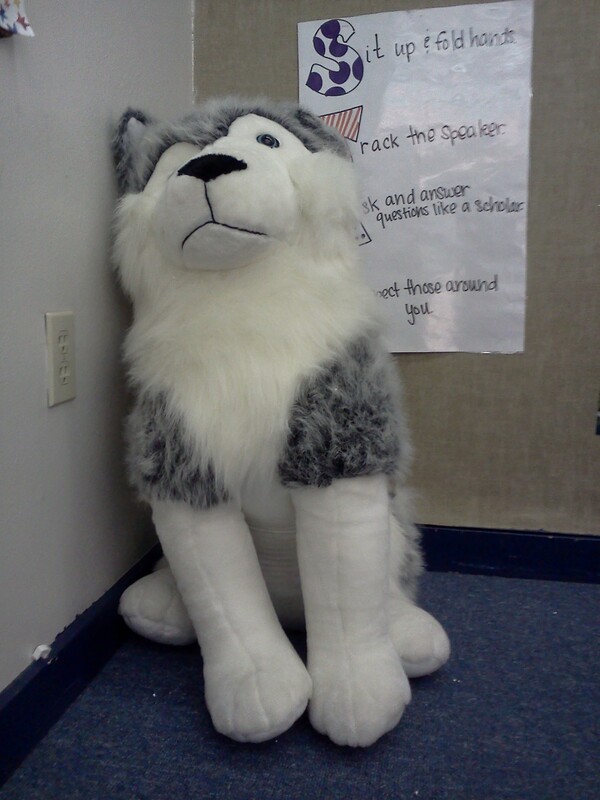 Just as sweet, a little girl who would make the perfect character in a children’s book with her freckles and wild spirit, brought me a gigantic husky she found at Goodwill. Our class theme is University of Washington, so she was proud to present our mascot. You can guess where all the kids wanted to sit during silent reading. This noble beast was smushed between three children, countless others disappointed they did not get there first. So, my camera phone might not do my lovely gifts justice, but hopefully my words did. We all bonded yesterday, and somehow these tokens of love are proof. Our missing student returned this morning and was able to go about his business with quiet support. We are becoming a classroom family, as strange as it is to let new kids into my heart. This is why I am so envious of what you do (even if it is at times exhausting and frustrating and difficult). You’re working with a group of kids who are at an age where their emotions can be so raw and pure and innocent. And it’s the purity and innocence that is so incredible. It’s the fascination with things that seem small (like the Husky stuffed animal) to you or I, but that can be so important to them. They are treasures. Every one of them. Even the difficult ones. 😉 And the memories they provide you with are treasures as well. I so missed my calling. I know, I know, in important ways it feels like it is. But, I agree. My job wears me down and makes me wonder how long I can sustain this level of energy, but it also makes me feel like I’m doing something that matters. That is big and the reason I took a chance and became a teacher in the first place. When I stop to actually watch, I realize they are each truly amazing. Those kids will remember this time, that talk, that hug, for the rest of their lives. Its wonderful that you get to facilitate that!